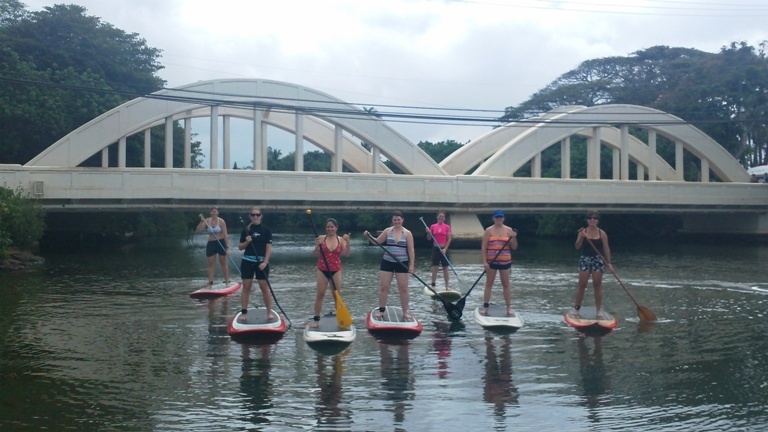 Open Group Stand Up Paddle Lessons Now Available! Rainbow Watersports is known for its personalized customer service: “We paddle when You want to go” “Your lesson is customized for your needs and wants” “Tell us where you want to paddle and we’ll do it” and, for the Coastal Adventure, we even pay particular attention to food preferences for lunch. In short, Paddler is King. Ironically, it is for this same reason that we are now including Open Group Stand Up Paddle Lessons. Paddlers have been asking for it, so now it is available, Monday through Saturday at 10:30am. You will still receive 2 full hours of instruction and paddling, now at a rate of $69/pp. Class size is limited; for River Course only. 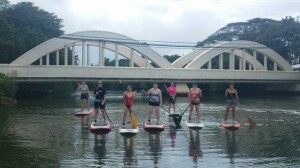 Even better, our Private Group Stand Up Paddle Lessons are STILL available, and always will be! If you desire to paddle with just you or just your personal group and an instructor, this is where it’s at. Get even more personalized attention and focus on your stand up paddling skills for just a few dollars more.